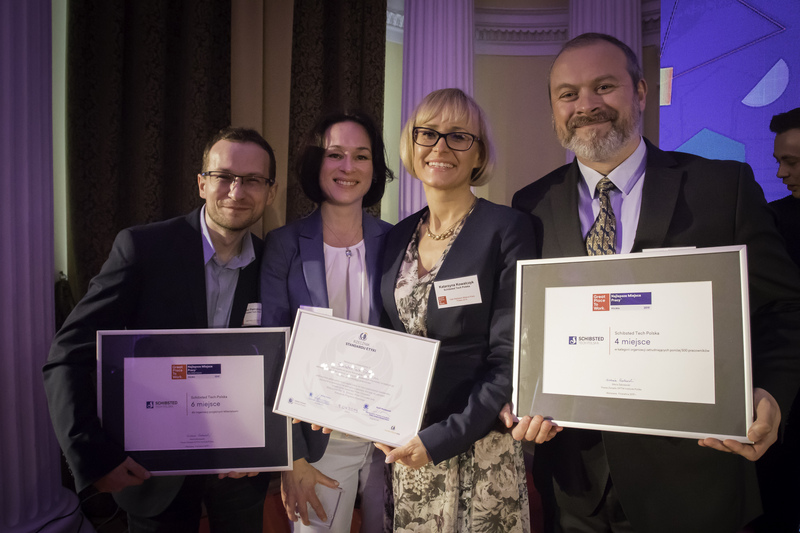 Schibsted Tech Polska has been named one of the best places to work in Poland. But why is it? Here are the stories of 10 employees! 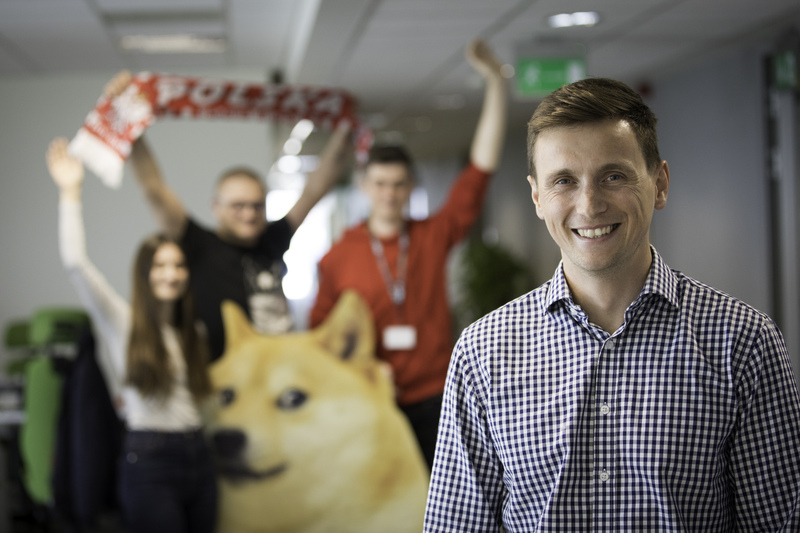 Two prizes were awarded to Schibsted Tech Polska in the 2019 Polish Great Place To Work contest. 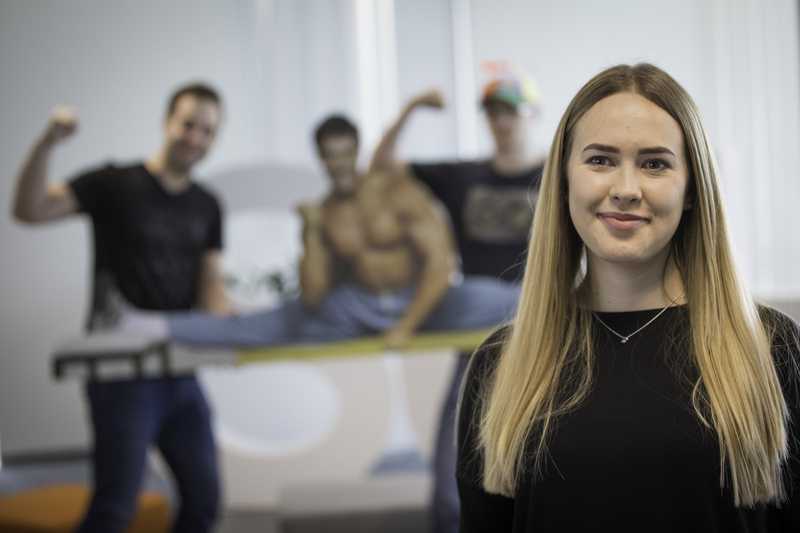 Schibsted was ranked number four among companies up to 500 employees and as the sixth Best Workplace for Millennials in Poland. 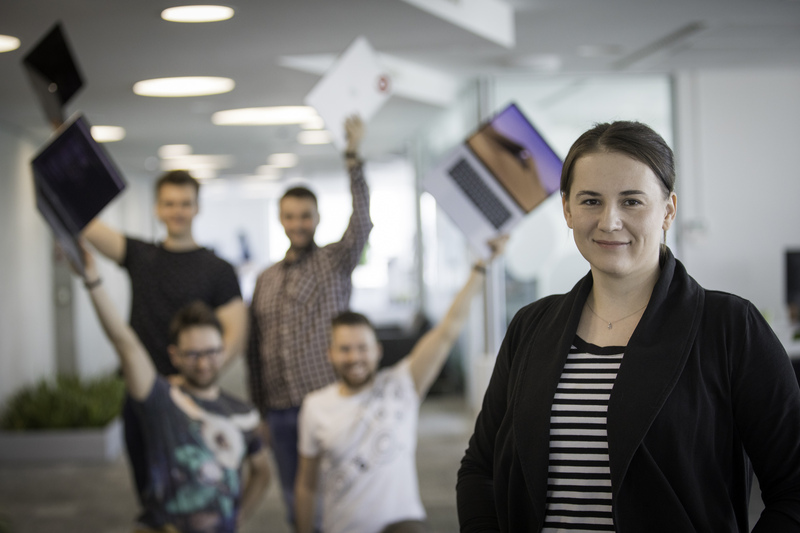 Meet 10 employees who tell what inspires them about working in Schibsted. I am part of the so-called SEALs team, which does short- and mid-term projects for different Schibsted companies. And I never get bored. We have lots of different projects – and can develop in many areas. The people are awesome. I have worked with people from many countries – and many of them have become friends. One thing I love is that the colleagues are so open to helping others. Also, there is a high degree of personal freedom. I can propose new solutions and know they will always be considered. I am originally a psychologist and used to work as a recruiter. In fact, I recruited the first employees who started to work for Schibsted in Krakow back in 2011. And I just loved the company already then, especially how much emphasis was put on building a great work culture. It was unlike all our clients our recruitment company had. As a recruiter, I went to a few software development trainings to understand our candidates better. And I realized it was interesting and something I could do. So I ended up quitting my job and starting an entry-level internship as a front-end developer. I studied everything on my own. 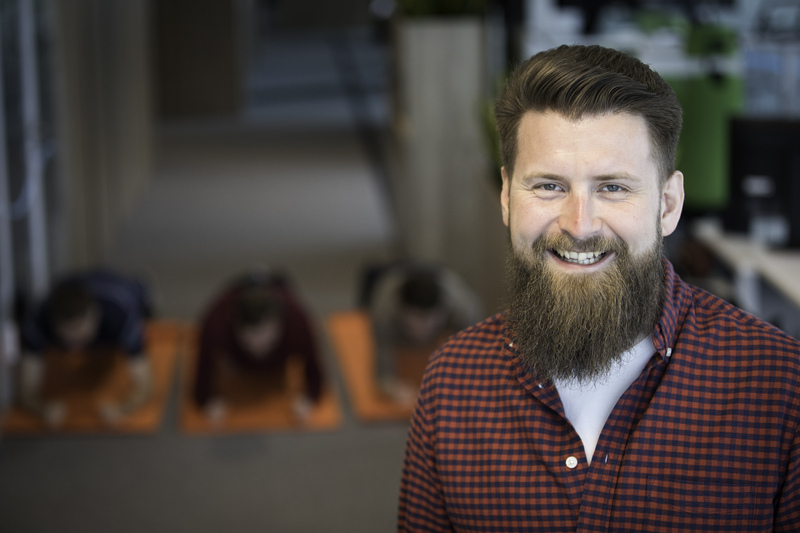 Later the position opened up at Schibsted – and I decided to apply. And the fun and surprising part was that the hiring manager was a person I had recruited to Schibsted myself. Schibsted is just a very special place! One example is the very special relationship between the partners and the developer teams. There are no other persons between us and the partners – we work directly with each other. This is my sixth company – and the first time I experience this. Also, I love the Scandinavian way of thinking about software engineering. The focus is always on what we want to achieve rather than just cutting costs. We have a great office here. It is a good environment for work. They support us with drinks, fruits, and sandwiches. You may say it’s very common nowadays, and not a big thing, but small things also matter. Schibsted gives us many unique opportunities, such as our personal budgets for training, extra days off when you have a child, etc. I started in 2017 – and was the first member of a team working for the Swedish fin-tech company Compricer. Since I was alone, it was quite challenging in the beginning. But then other colleagues were hired – and today we are 4 people in the team. In Sweden, we have colleagues both in Norrköping and Stockholm. I like it because working at Schibsted gives me new challenges every day. I learn something new all the time – and keep getting new and challenging problems to solve. Another great thing is that I can work with people from different countries. And Schibsted gives me the opportunity to travel, which I love. I get to improve my English skills and learn about new cultures. And I feel part of a great team! 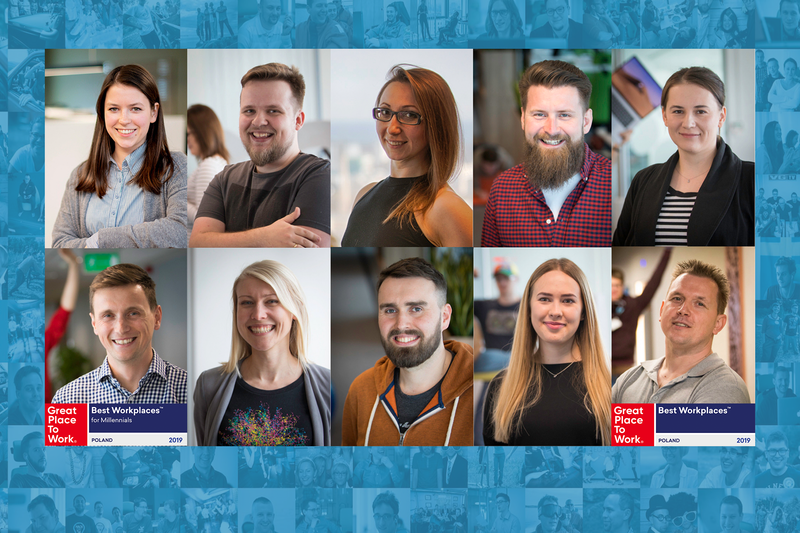 Schibsted really cares about people working for them – and everyone is just so helpful to each other! I started as a summer intern last year. And the internship was just great, something I did not expect. I joined a great team with long experience in Schibsted. The internship here is different from most companies. It is focused very much on learning and building great things. Actually, what I built during my summer internship is being used by people in Norway even today. Afterward, I started working full-time for Schibsted in the Sports team. Our job is to provide live sports data for the biggest news brands in Norway and Sweden. I started as a front-end engineer. Later I extended to back-end tasks as well, and now I work in both areas. The most important reason is the people I work with. I spend a lot of time with them…almost as much as with my wife 🙂 So they become my second family in a way. They are great people! Friendly, yet also very professional. The second reason is that having a good work-life balance is super-important for me. Schibsted makes that possible. I can work in the office in the morning, then pick up my two-year-old daughter, and make up for the time by working from home in the evening. I really appreciate that Schibsted values the families of the employees. For instance, we get extra parental leave – and the company even organizes events for children. It all makes you less stressful and more productive. I started in Schibsted in May 2015 as an iOS developer for the Norwegian news brand VG. Last year I changed to the Core News Product Mobile App team. We are six iOS developers in this team, which is pretty unique for native mobile app developers. I expected to be much shorter in Schibsted when I started out. But we get new challenges all the time, and that is really a good thing. So I have stayed on. One great example of my exciting Schibsted travel is when I together with colleagues organized what we called iOS Jam for iOS developers around Schibsted. This is just one of the cool things that make Schibsted such a great place! You get an idea, talk to your manager that you would like to gather and connect the Schibsted iOS community across countries and get lots of support. I know this could not have happened in a lot of other companies. I love the Scandinavian work culture. It is not so usual to see companies in IT that focus so much on people as Schibsted does. I also like the flat structure. We are all equal, which is not so typical for Polish companies. We do not fight over positions – and instead can work truly as agile teams. Even though Schibsted is a global corporation – we still feel close to each other. It is a friendly and familiar atmosphere. And we work with fantastic colleagues in Scandinavia who treat us as part of their team. It is a great degree of openness among us – and we are given opportunities to work in the ways we think are best. I started in Schibsted in December 2017. Before that, I was a freelance UX designer and front-end developer. I first applied for a front-end position in Schibsted, which I did not get. But a week later the recruiter asked if I would consider a UX position. 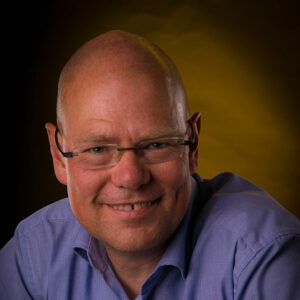 After two months I was promoted to be the engineering manager of the team – and that is the role I have had since then. I love my team. It really is the best team I could possibly have! We are very close to each other. Several trips together to Sweden have given us the chance to get to know each other well. We trust each other very much – and I also try to run the team in a trust-driven way. Our team works for Nya-Wärmlands Tidningen, a Swedish media group of local 17 news sites. For the people in this area of Sweden, our sites are the most important source of news. For me, it is a fantastic feeling that we are doing something important for people by helping them to get the news they need. We are not only pushing code but giving people real value. I love how I have been given bigger and bigger challenges over the years. 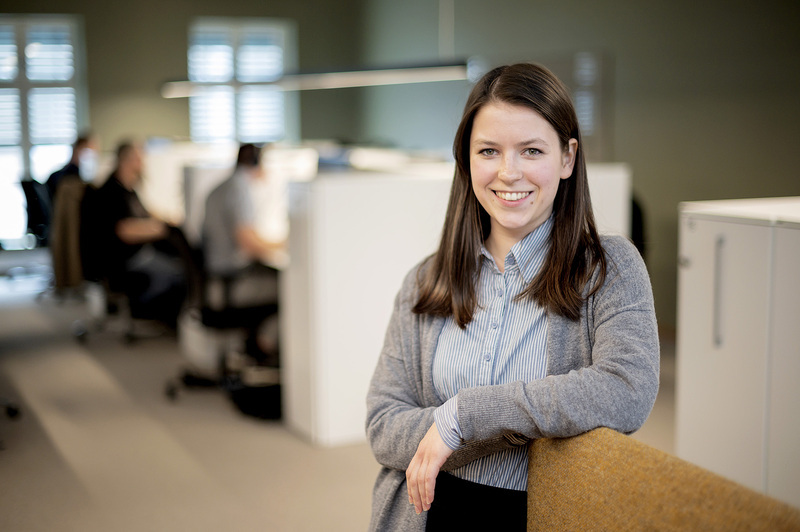 Schibsted allows you to grow, both personally and professionally. Over time I have become more and more involved in demanding projects. Also, Schibsted puts a lot of emphasis on creating good communication between product managers, engineering managers, and other roles – and even between the different teams. 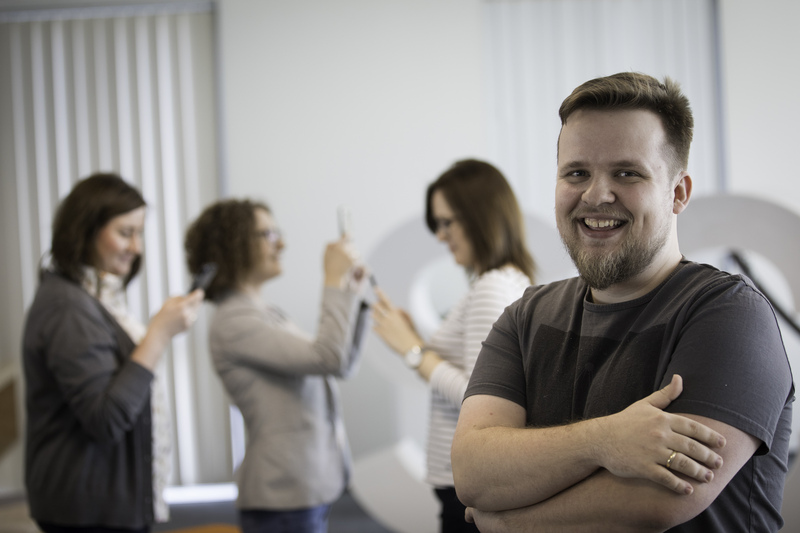 The company also encourages respect for differences within a team – and believes that the best results are achieved with a mix of personalities, ways of thinking and diversity in experience and background. I like that! I started as a junior developer in September 2012 – or 6 ½ years ago. The team was called VGTV – and build the web-TV platform for the hugely popular Norwegian news destination VG. Today I am a senior software engineer in the same team. But we now deliver our solution to all the news sites Schibsted owns in Norway and Sweden. Every day several million people use our product – and I am very happy that we have grown it so much over the years with no major issues. Almost the whole team has worked for more than 5 years together. I think that is pretty unique in a software company today. What makes our team so stable? I think it is because we put a lot of attention to quality in all we do. We never do short-cuts that compromise quality. Also, it is a team of very skilled people – and with lots of mutual respect for each other. Each of us is the expert in our area – and we respect each other for that. I have only worked a few weeks for Schibsted, but so far I really love it. People are very open and friendly. The onboarding as a new employee happened in a warm and supportive atmosphere. People are quite direct here.I think that is good. It makes my work as an HR business partner easier. Schibsted is a quite big company. In many other companies of the same size, you meet a lot of corporate rules. Here it is not so visible. Instead, the company has a close connection to its people. That leaves a lot of space to independence, which I like. I started in the middle of March 2019. 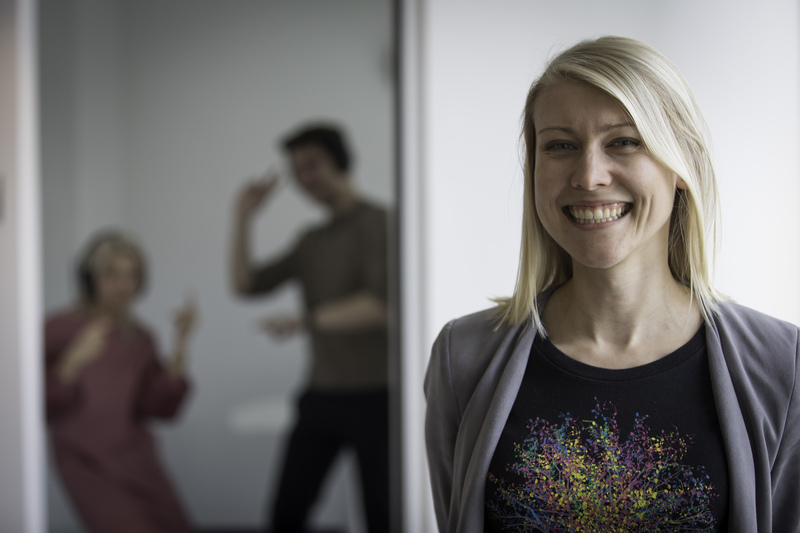 For me, Schibsted was an opportunity to change the direction of my career. I used to work as a recruiter, while this is a more pure HR role. I had a very good experience during the recruitment process. Especially I liked that I got to meet several of my future colleagues. I also appreciated that the manager was very open about giving information about the position, including which challenges I would face. I love the opportunity to work on multiple projects across Schibsted Media Group. We have a lot of flexibility at work and can usually choose the solutions we think are best. Also, I work in a very experienced team with colleagues who always try to make products with as high quality as possible. Schibsted is a very friendly company. It does not matter if it is a colleague or your manager: There is just a friendly way of doing things. Also, there is a good work-life balance. I am a bit of a workaholic myself, I must admit, but it is good there is this balance if I should need it. 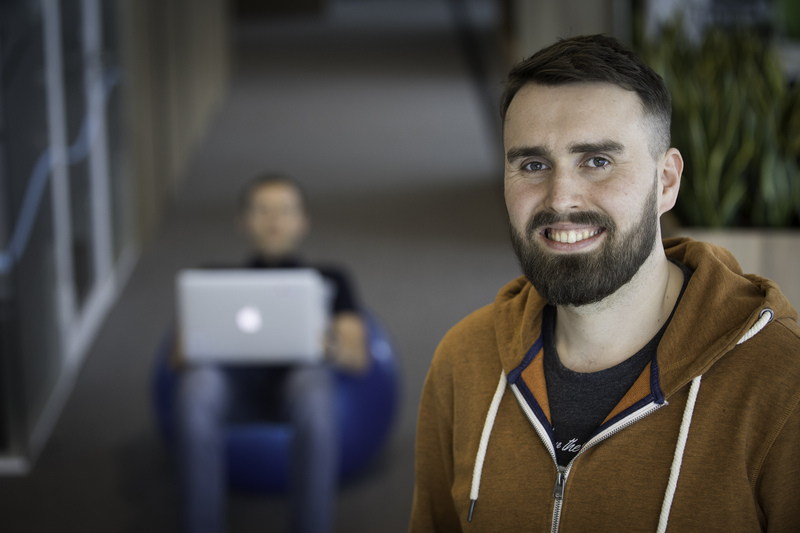 I started in Schibsted in September 2016 as a software engineer in the SEALs team. This team works with short- and mid-term projects for many Schibsted companies. Last November I was promoted to Engineering Manager. Another exciting thing for me that happened last year was becoming the Sportify participant. That helped me to develop me professionally as well as during my spare time. We are nine people in our team: 8 in Gdansk and 1 in Krakow. First of all: I just love the atmosphere! Every day when I come to work it is like I meet my friends and we plan to do some cool stuff together. I also love the work culture. The colleagues treat each other with respect – and there is always someone to help when you have a question. The company is also open for the ideas of the employees. I also love that we can travel – and have the chance to work together with colleagues outside Poland. I really appreciate the opportunity to get to know people from other cultures. I started as a summer intern in 2016. After the internship, I worked part-time while finishing my studies. I was a front-end developer in a team working with the regional Norwegian newspaper Stavanger Aftenblad. During this period I also developed skills as a UX designer. In October several smaller teams were merged into a bigger team called Regional News Destinations (RND). Now I have just been promoted to engineering manager for one of the teams in RND. I always knew I wanted to work with people and thought that maybe I could be a manager one day. But I never thought the opportunity would come so quickly, only three years after my summer internship! I like the atmosphere here. I really did not expect it to be so friendly and relaxed in a big company. Superiors and colleagues trust and respect each other. Everyone is very helpful. I have great colleagues, like our project and we get to use newer technologies. Schibsted also gives us good possibilities to learn new skills. And, of course, I love the view from the 21st floor in the Olivia Star office building here in Gdansk! I moved from Lodz together with my family in September 2018 to work for Schibsted. I liked the idea of living in Gdansk, close to the sea. So it was easy to accept the position. I work in a team for Mötesplatsen, a Swedish dating site. We are four native mobile developers in the tea. Our Swedish colleagues are in Varberg, a very nice city by the sea. Already during my first month in Schibsted, I had the opportunity to visit them. Apply to work in Schibsted now!